Liverpool’s 3-0 win at Watford was another hard-fought three points on their travels and a number of statistics caught the eye at Vicarage Road. For a while on Saturday, it looked like the Reds would be dropping two costly points, especially with Premier League leaders Man City cruising at West Ham. The Reds’ new-found winning mentality came to the fore, however, with Mohamed Salah pouncing to open the scoring, before Trent Alexander-Arnold‘s beauty of a free-kick was added to by a Roberto Firmino header. 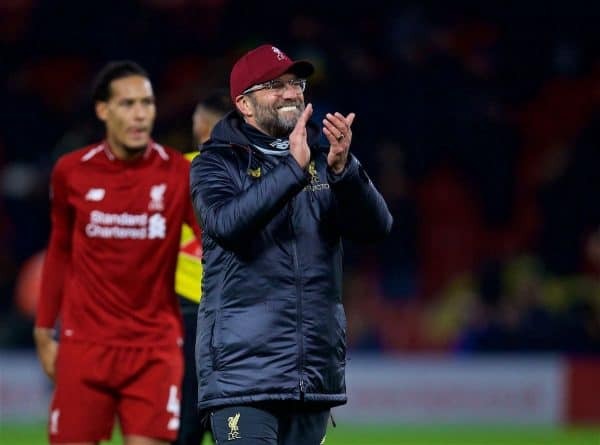 It was another tricky hurdle overcome by Jurgen Klopp‘s men, who were given a stern test by a Watford side who will be aiming to finish in the European places this season. We’ve had a look around for some of the best post-match statistics from the match – here are five that stand out. If Liverpool were all about scintillating attacking football last season, pragmatism has taken centre stage in 2018/19. The main reason the Reds have only dropped six points in the Premier League is because of their outstanding defence, with another record broken on Saturday. The clean-sheet means just five goals have been conceded in the opening 13 matches – the least in the club’s history at this stage of the season. 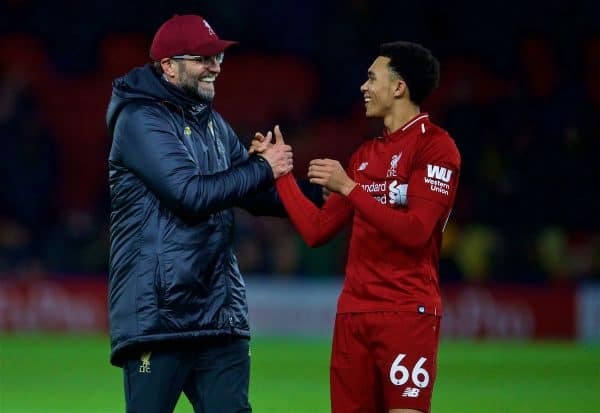 It is a quite remarkable turnaround from 12 months ago, when Klopp’s defensive qualities as a coach were being questioned and sloppy goals were consistently being conceded. Virgil van Dijk is the first name on Klopp’s team-sheet, with his influence unrivalled and the thought of him picking up an injury horrendous. The Dutchman may not always have been noticeable against Watford, in a game Liverpool dominated possession-wise, but he was outstanding yet again. He enjoyed an 88 per cent pass success rate and not only won eight aerial duels but also a total of 11 all-round duels. 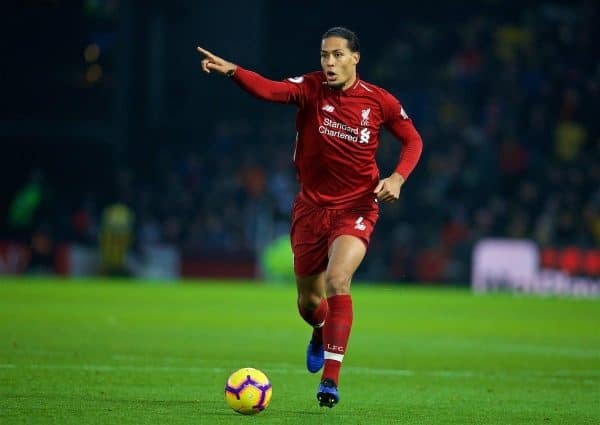 Van Dijk made eight clearances and three tackles, too, in what was a world-class display by the best centre-back in the world. There is nobody you would swap him for on current form, even though the likes of Diego Godin, Raphael Varane and Kalidou Koulibaly are fantastic defenders in their own right. It was always going to be tough for Salah to repeat his heroics of 2017/18, which saw 44 goals come his way and numerous end-of-season awards. The 26-year-old hasn’t always looked himself this season, but almost without noticing, the goals are beginning to flow again. His crucial opener at Vicarage Road was his eighth goal in his last nine appearances for club and country, with two assists in that time as well. He has found the net nine times in 18 Liverpool matches this season, with Sergio Aguero the only man with more goals in the league (Salah has seven, Aguero has eight). Are we just expecting too much from Salah, when in fact he is doing perfectly well? Even the most ardent of Sadio Mane admirer would admit he hasn’t been at his best this season, but he was a constant threat to the Watford defence. The Senegalese registered an assist for Salah’s goal, having made a clever run into the penalty area before delivering a precise cross for his teammate. It was his first assist of the season, which is a huge surprise considering the dangerous positions he gets himself into. 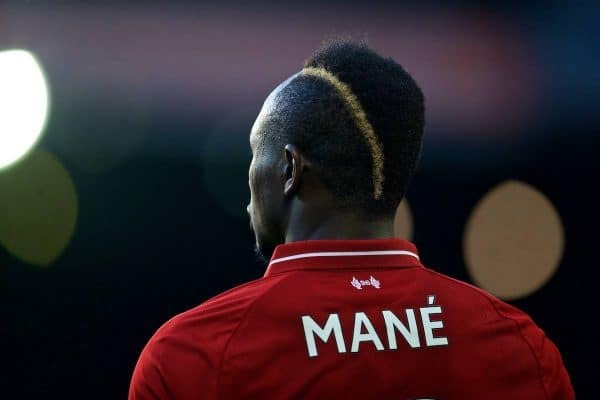 It highlights Mane’s drop-off from last season, even though it hasn’t been nearly as dramatic as some are claiming. The eventual 3-0 scoreline was arguably harsh on Watford, with the scores level until midway through the second-half. 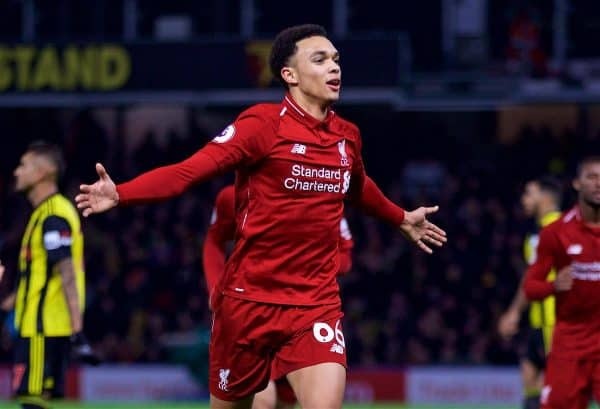 It was still an ultimately emphatic result, however, and analyst Andrew Beasley revealed that it was Liverpool’s first away win in the league by three or more goals since January. 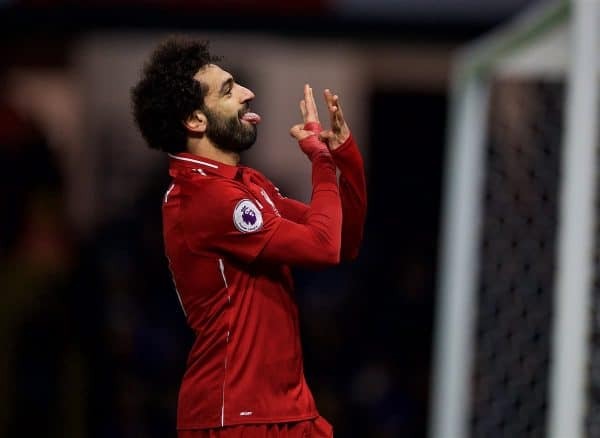 That was the 3-0 victory at Huddersfield Town, when Salah netted twice and Firmino scored from a seemingly impossible angle. Saturday’s win will hopefully see the goals flowing a little more regularly on the road from now on.